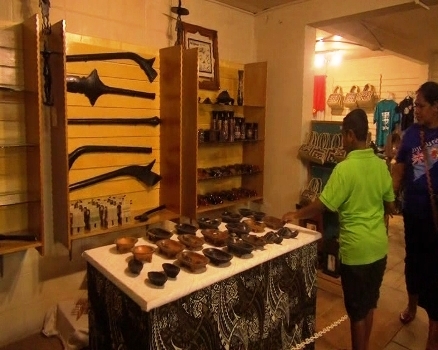 The Fiji Museum is today celebrating 60 years of existence of its building, which houses some of the greatest Fijian history. This is coinciding with its annual Open Day. Museum Director, Adi Mere Tui, says their last open day was held in June due to the renovations that were being carried out. The public are being treated to a guided tour of the museum, mat weaving, masi and pottery making demonstrations.